Dimensions: 5-3/4 x 8-1/4 in. 224 pages. Paperback with Smythe-Sewn Binding. 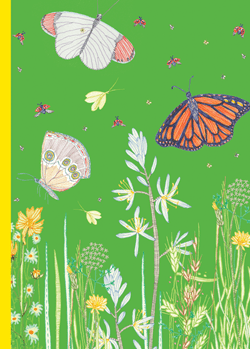 Printed on 100% recycled paper with soy-based inks, this journal features beautiful illustrations of blooming flowers and butterflies from celebrated artist Jill Bliss.